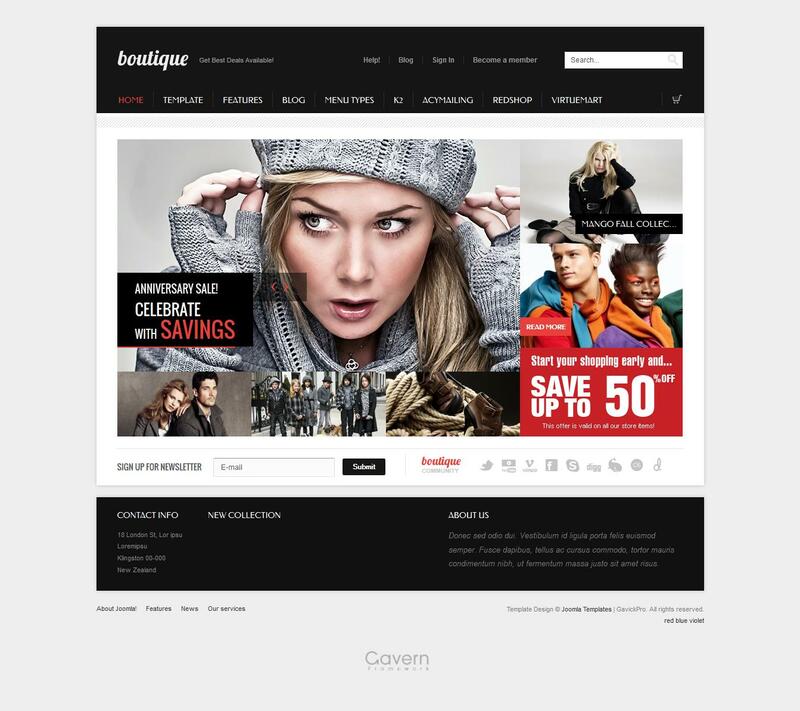 GK Boutique - September stylish template from the popular design studio GavickPro. This template contains 62 module positions, 9 modular variations, light and dark style of the layout as well as support for three types of function menus: GK Extra Menu, Dropline menu and Split menu. There is compatibility with the component K2 and internet - shop redSHOP. Template perfectly optimized, fast loading and supports any mobile device. GK Boutique-a great solution for creating business sites, online business cards and corporate projects.